KIDS x REFORMA — KIDS Global Network, Inc. 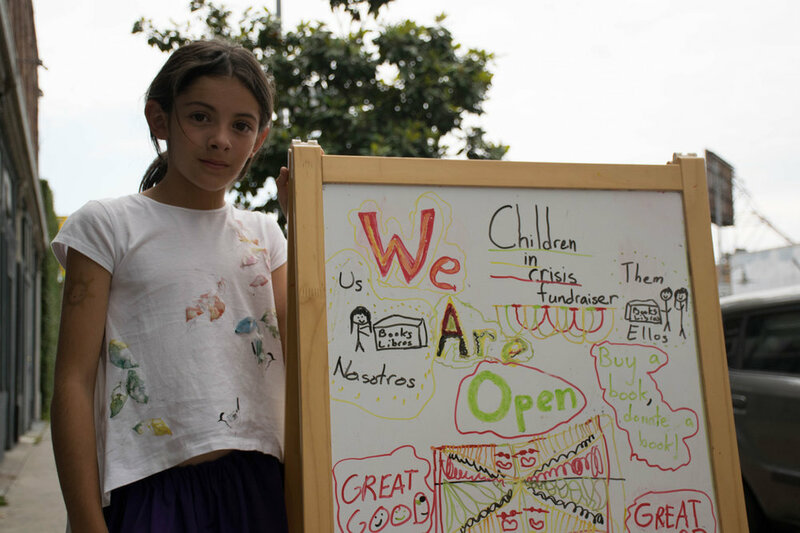 In May of 2016 KIDS Global Network began working with the REFORMA Children in Crisis project. REFORMA is The National Association to Promote Library and Information Services to Latinos and the Spanish-Speaking. The Children in Crisis Project came about in 2014 because of the high numbers of unaccompanied youth entering the USA and being held in detention centers and shelters. Oralia Garza de Cortes, a librarian from Austin, Texas was concerned when she saw news footage of this epidemic of children coming into the US. These children were being housed in detention centers and shelters without any access to books or activities. Partnering with Patrick Sullivan, a retired librarian from San Diego State University, they founded the Children in Crisis project to address the needs of these youth. Since 2015 the organization has made great strides in reaching these children. The goal of the project has been to make sure that each child receives a book while in detention and can take it on their journey forward. Another goal is to fill the shelters with library carts full of books. Currently, the Children in Crisis project serves up to 700 youth every two months as they enter the US and wait for immigration processing. In Southern California they work with shelters run by Southwest Key and Crittenton charities. The San Diego and Orange County librarians bring Spanish language books to the shelters as well as host the youth for story times and tours in their library facilties. It is important for them to teach the children about the resources and value of the libraries so they can continue to use them when they are settled. KGN is traveling to Orlando for the American Library Association Conference in June of 2016 to stage an exhibit about the REFORMA volunteers. Our goal is to raise awareness about this issue and to help them raise money for books. Please visit our donation page to learn how your donation may be used.